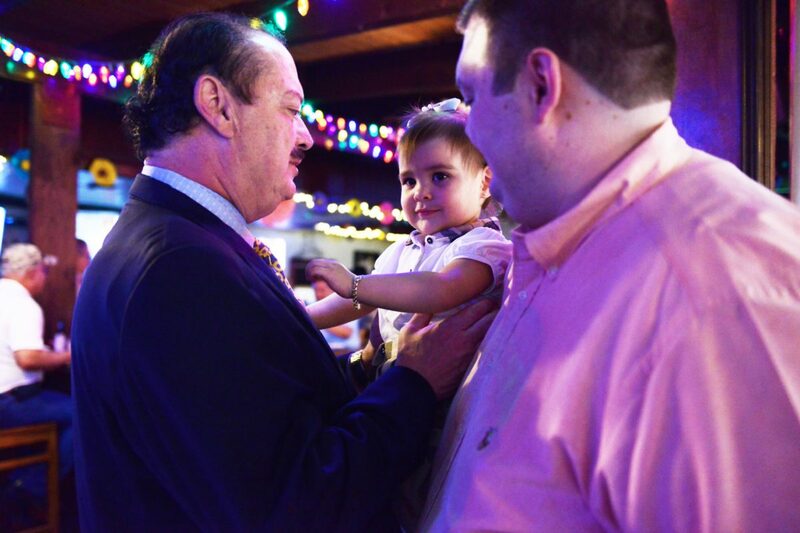 Former Texas State Representative René Oliveira reaches over to hold his granddaughter during his re-election bid celebration at Cobbleheads with his supporters. Oliveira served as Texas State Representative for over 30 years. Voters in District 37 spoke loud and clear Tuesday — they want a new state representative to speak for them in the Texas Legislature. Newcomer Alex Dominguez has been voted in and longtime State Repre­sentative Rene Oliveira has been voted out of office. Unofficial results show Dominguez won by garnering 3,287 votes to Oliveira’s 2,509 during Tuesday’s runoff election. They were the top two vote-getters in the March 6 Democratic primary, and there is no Republican challenger in November. 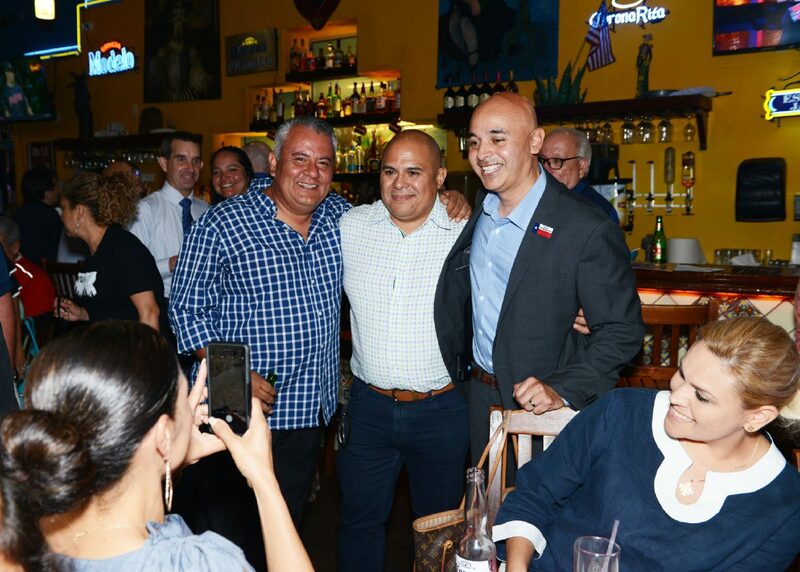 Alex Dominguez thanks all his supporters Tuesday evening during his victory celebration as newly elected Texas State Representative at Mi Pueblito Restaurant on election day in Brownsville. “We’re overwhelmed by the support we’ve had,” Dominguez said Tuesday night. Dominguez represents Precinct 2 on the Cameron County Commissioners Court and said his four years on the commission set him apart from other Oliveira challengers. He said workforce training, education and infrastructure will be among his top legislative priorities. Dominguez added that he plans to schedule town hall meetings in each city within District 37 to hear directly from constituents about the issues important to them. “I want to say it’s probably character that has been a big focal point since the arrest of my opponent,” he said. Oliveira was arrested April 27 on suspicion of driving while intoxicated. He is the fifth most senior member of the Texas House. Oliveira said he felt at peace with the results and was looking forward to living a more private life. “Thirty-four years as a public servant was grueling but I loved it, and I’m grateful the people gave me the opportunity to serve that long,” he said. For now, Oliveira said he will focus on wrapping up legislative committee work and looking at other opportunities to serve the public. He campaigned on his experience and touted his role in the creation of the University of Texas Rio Grande Valley medical school and attracting SpaceX to Brownsville.